Since 1965, Quincy Community Action Programs has been the leading non-profit organization in Greater Quincy dedicated to reducing poverty. We serve 22,000 individuals every year in more than 80 communities. We help families to reach their educational and economic goals and achieve financial stability. QCAP is consistently rated as one of the top performing community action agencies in Massachusetts. 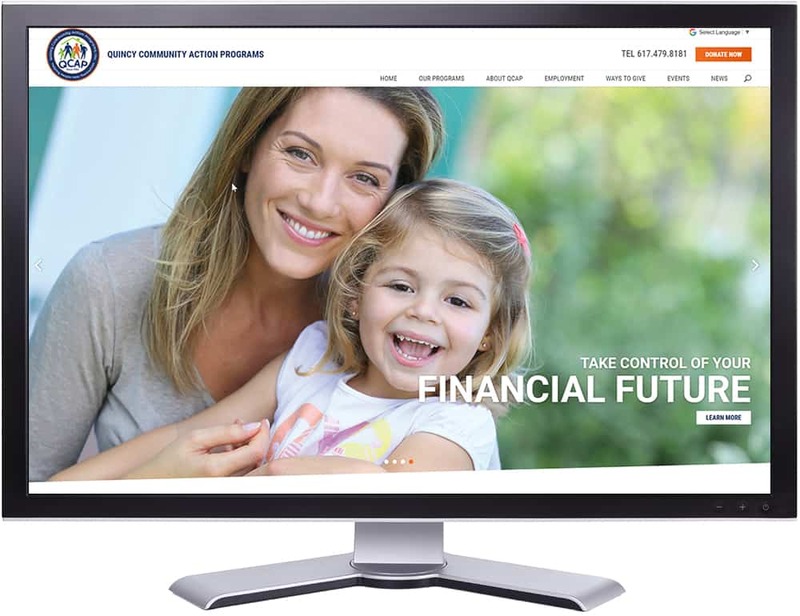 Interactive Palette designed a new website for QCAP to complement their growing business. The website is Responsive which means it automatically adjusts to the visitors’ screens whether it is a desktop or mobile device. The website has a secure employee portal for document sharing. Visitors to the site can make donations to QCAP online through PayPal.